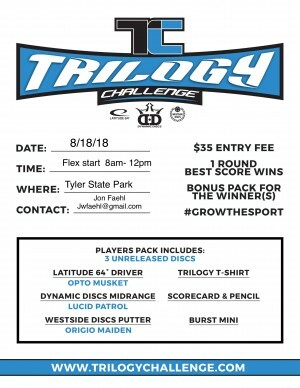 The Trilogy Challenge is your opportunity to help promote the sport of disc golf. 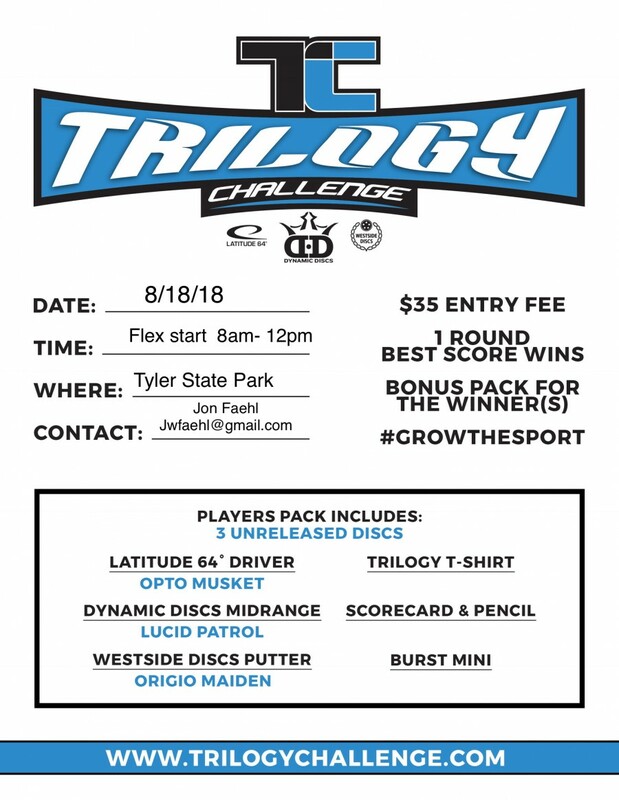 Dynamic Discs, Latitude 64Â°, and Westside Discs are excited to bring you the Trilogy Challenge in 2018! Our goal is to gain better visibility of the sport and to get more new players involved. The entry fee will be $35 and players will receive everything they need to play disc golf. It will be one round of 18 holes (TBD) with a flex start time of 8am till 12pm. Players are only allowed to use the three discs they receive in their player pack and if they lose a disc during the round, they must finish the round without it. The Trilogy Challenge is a worldwide event from May 27th to October 1st. Bucks County Disc Golf Alliance is responsible for all refunds/cancelations.